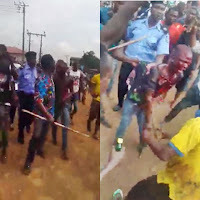 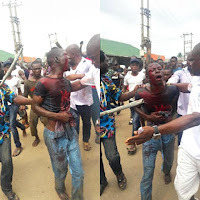 It was gathered that an operative of the Nigerian Police Force was present to stop the angry residents from killing him and burning his remains. 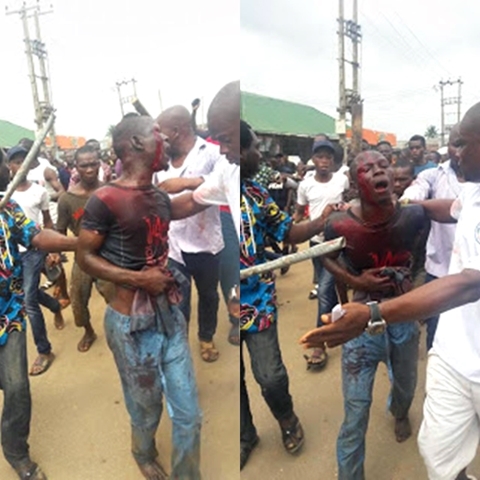 As the youths were shouting "You Must Die! ", the police officer had to fire some gun shots into the air to disperse them.